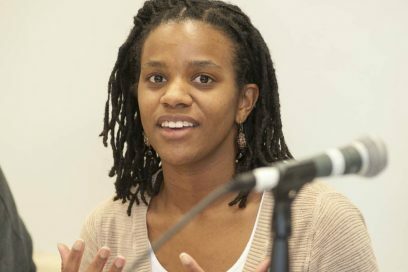 We caught up with UTA Fort Worth alumnus, Alexis Goggans, who graduated in 2012 with a Master of Science in Interdisciplinary Studies – Sustainability. Since graduating, Ms. Goggans has taken her career to Washington D.C., where she has worked for organizations such as American Rivers, Justice & Sustainability Associates, and the Department of Energy and Environment. During our recent interview with Alexis, we talked about her time at UTA Fort Worth and how her graduate degree has helped her get to where she is today. Why did you decide to pursue your graduate degree at UTA Fort Worth? How has earning your degree impacted your career and marketability? What benefits or value did you get from the cohort delivery model?